This local tour operator connects you with the burgeoning craft beer community of Kansas City! This is your opportunity to get an exclusive, behind-the-scenes look at the places and people making some of KC's best beer. This activity offers a unique 4 hour guided tour experience that you will not want to miss. This local operator serves both the local community and visitors to Kansas City. KC has a growing and exciting craft beer culture and our goal is to show you all it has to offer. Their strong connection with the brewing community allows them to provide you with the ultimate brewery tour experience, found nowhere else! All tours with the Barley Bus will take you safely to three to four breweries over a four hour period. 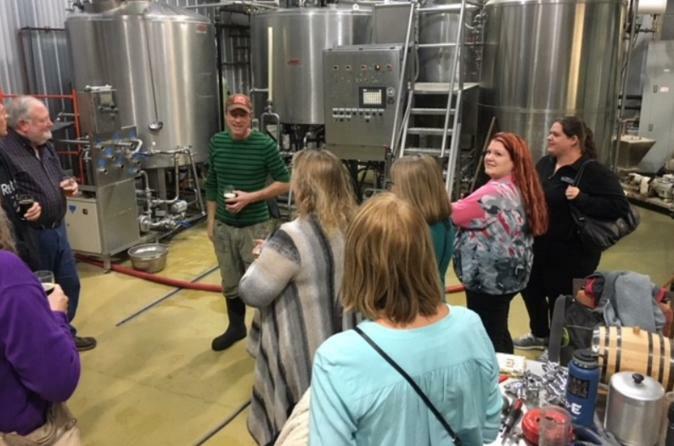 Each tour includes a Brewing Basics Lesson led by a brewery staff member and tastings. You’ll go on to enjoy a brewery intro tour and tasting at each additional stop and also have some time to relax and sample beers in the respective taprooms. Transportation, beer at every stop, water and snacks on the bus, a knowledgeable and fun-loving guide/drinking buddy, and the opportunity to meet the folks behind Kansas City's booming Craft Beer culture are all included! Possible breweries you might stop at include the Big Rip Brewing Company, Border Brewing Company, Calibration Brewery, KC Bier Co., Torn Label Brewing Co., Crane Brewing, Boulevard Brewing Co., Cinder Block Brewery, McCoy's Public House, Martin City Brewing Company, Stockyards Brewing Co., and Double Shift Brewing Companies.